Our soft wax for dark coloured cars, created because we suspected that montan wax was wasted in shoe polish. Its oily hue and shine makes montan wax perfectly suited to darker shades of paint, so we mixed some up in the Dodo double boiler with the darkest beeswax we could find and our old friend, T1 carnauba. The result is super-smooth Purple Haze. 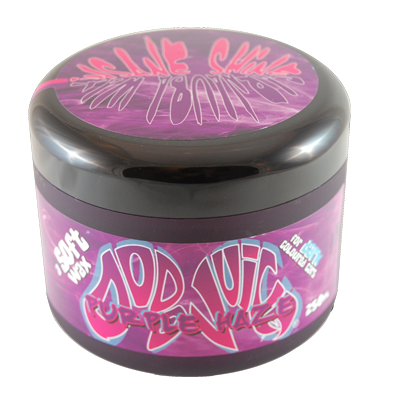 One of the best-selling Dodo Juice waxes ever created, with a soft, easy-on texture. Another product suggested to me by one of your employees with fantastic results. I'v used this product on a couple of cars dark coloured cars this week both coming out with a fantastic shine and depth to the paint. and just after finishing my work the havens opened and the wax beaded the water perfectly as the excess water ran off the body of the car.